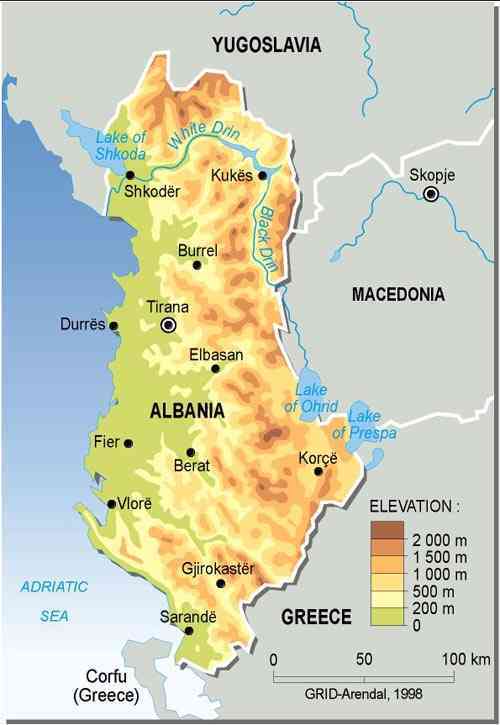 Albania is located in Southeastern Europe, bordering the Adriatic Sea and Ionian Sea, between Greece and Serbia and Montenegro comprising of 28,748 sq km. 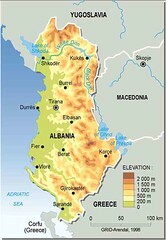 It has an estimated population of 3,563,112 (2005). Major environmental concerns are deforestation; soil erosion; water pollution from industrial and domestic effluents.